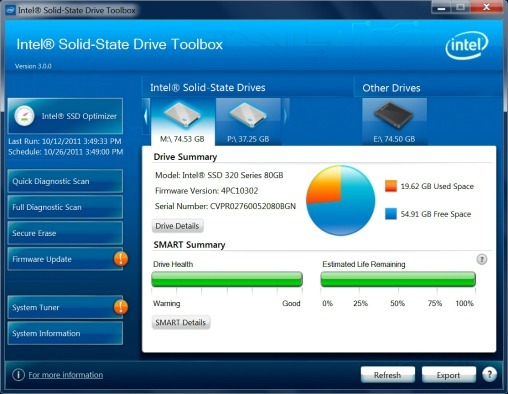 Intel Solid-State Drive Toolbox version 3.5.3. - Before beginning the Intel SSD Toolbox installation, review the Release Notes and follow the instructions in the Installation Guide. A Frequently Asked Questions document is also available for your reference. Operating Systems: Windows 10, Windows 8/8.1, Windows 7.